With summer on the way all sorts of creepy crawlies come out of the woodwork. The Smithsonian Institution notes that insects are the most diverse group of organisms with around 900 thousand different kinds of living insects representing about 80% of the world's species. In fact, the Smithsonian notes that at any time, it's estimated that there are some 10 quintillion (10,000,000,000,000,000,000) individual insects alive, and that's being conservative. Case in point, there's way more of them than there are of us. You and your kids can either hide in bubble wrap and develop nature deficit disorder or learn to live with insects. Keep reading to learn the best natural solutions to prevent bug bites this summer, and all year round. Sure, if we waged war with the insects, they’d win, simply due to their sheer numbers. But that doesn’t mean they’re out to get your kids. Bugs can be obnoxious, but in most cases, they’re not that dangerous. For example, every few years there’s a fresh round of, “Look out for ticks” in the media. However, in reality research shows that Lyme disease caused by tick bites, while dangerous and great fodder for the media, is not very common. 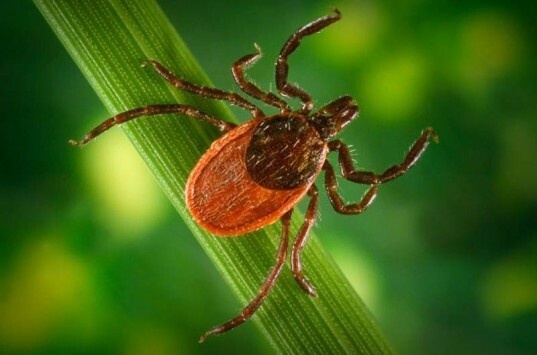 Just 2% of tick bites result in Lyme disease. 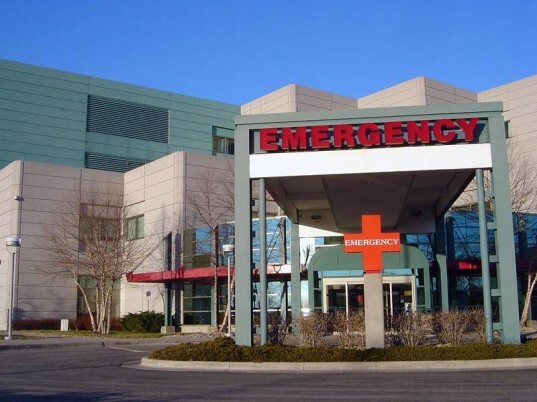 Overall the CDC says that about 90–100 people in the United States die as a result of allergic reactions to insects each year, which may sound scary, but you’re way more likely to be killed by a car accident or drowning or food poisoning than a bug. Be practical – some bugs and spiders are a danger, so it’s wise to teach your kids not to mess with them, especially babies, who will put any old thing in their mouth (ick), but overall, bugs want to avoid us. We’re huge, they’re not. Bugs aren’t a good reason to keep your little ones cooped up inside all summer; not when there’s so much fun to be had with outdoor activities like Geocaching or hiking. 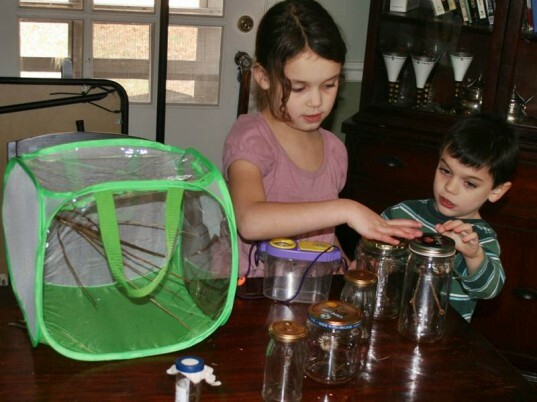 Plus, bugs can be very educational for kids so don’t deny them a good safe bug hunt. Dress your baby or child in lightweight but full cover summer clothing. Such as light long sleeves and pants. When hiking through the woods or fields, tuck pants into socks, especially in a tick-prone area. Avoid dressing your child in bright patterns as they can attract bees. Place a blanket on the ground before sitting down to play outside. Double check any sand, before placing your child down to play. Fire ants and some other bugs are common in some areas and like to hide in the sand. Avoid perfumed sprays and lotions on you and your child as it may attract bees. Bugs love romantic sunsets. Weird but true. Enjoy nature when bugs are less likely to be around, For example, bugs are more common during the late afternoon and early evenings. Avoid mosquitoes by avoiding humid watery areas. If you are spending time at a lake this summer, bug spray is probably going to be necessary (more on this below). Don’t let your child play in super long grass, piles of leaves, wood stacks and other dark places bugs like to hide. In almost all cases, bugs bite you because you invade their space, and these places are common buggy homes. When on a picnic or play date, keep all food and drink containers covered with tightly fitting lids. If you spill foods or drinks, move to a new area. Bugs love a good picnic feast. Keep your home clean. Most bugs, minus a few, like grime better than clean. You don’t want bugs following you inside and staying. On that note, take off shoes and coats at the door, not inside your main home area. When outside on yourporch, use a fan. It may seem silly outside, but most bugs, and mosquitoes in particular, can’t fly well when it’s windy. Clean your yard. Icky old bird baths, ponds or child pools, full of murky dirty water attract bugs. Image by haloocyn via sxc. If you’re not sure if your child has been bit or stung by an insect here’s a quick primer about some typical bites. A bee sting usually looks red and swelled and there could be a visible stinger while a wasp sting is more severe looking and you won’t see a stinger. A mosquito bite is bumpy and itchy and somewhat resembles a pimple. Any rashes or small bites that look like a tiny pin prick (double or single) or bites that look like a bull’s-eye could indicate a bug bite from a spider or tick. Fleas tend to bite the same area over and over, so you’re likely to see a cluster of little red bumps. Plenty of myths surround bug bite and sting treatments. Don’t fall for them. For example, using petroleum jelly to remove a tick or burning a tick off are both old wives tale. Burning a kid with a match to remove a bug will likely only result in a kid with a bite who has now also been burned. See real ways to remove a tick. 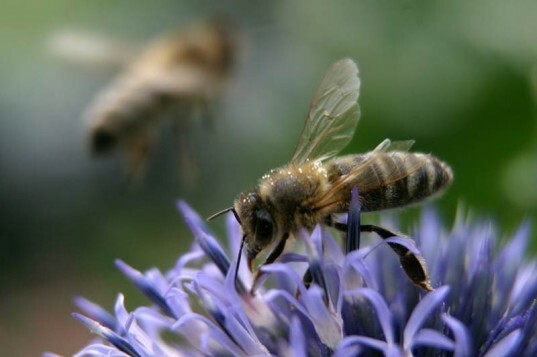 Some controversy surrounds bee stingers. For a while people said use tweezers, then researchers said, no way, tweezers will push poison into the body. Now, the most common theory is that the longer a stinger stays in, the worse it is, so get the stinger out quickly is the general rule. You can safely use tweezers, your fingers or scrap a stinger away, just get it out fast. Lastly, don’t pour citronella oil repellents on your child to repel mosquitos. This doesn’t work. According to Health Canada, citronella oil repellents protect people against mosquito bites for less than one hour and shouldn’t be used on children under two years of age. Any products containing citronella, are likely a waste of money as they only repel mosquitoes at very close range and when wind is minimal. Before your child is bit, you may be thinking it’s smart to spray him down with a chemical repellent. For example, many people use DEET. DEET is a bug repellent deemed safe for use on humans by the EPA IF you don’t get it near your eyes, nose or mouth. Um, very few kids leave their eyes, nose, or mouth alone for very long, right. Also, though the EPA is on board, other studies show that DEET is not safe. One study found that one-quarter of folks using DEET experience negative health effects like rashes, skin irritation, numb or burning lips, nausea, headaches, dizziness and difficulty concentrating. DEET’s one and only perk is that it’s an effective repellent against hordes of mosquitoes, even on kids, if used with caution. If you’re not dealing with hoards, a safer alternative is to simply avoid bugs with the tips posted above in the prevention section of this post. If you’re really freaked, try a natural bug spray, but note that most contain citronella which is not recommended for kids. 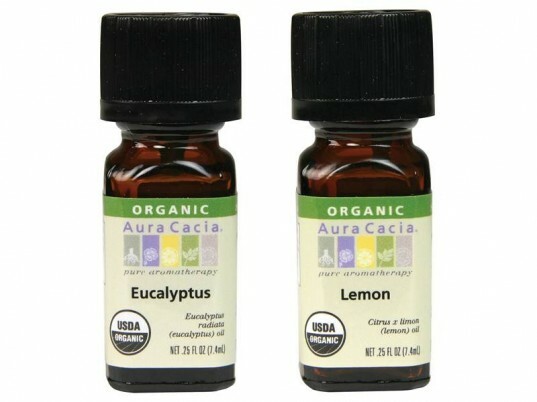 The CDC notes that you can try using a mix of natural essential oils of lemon and eucalyptus to repel mosquitoes and possibly even ticks. The CDC also says not to use this on kids under 3. Seriously prevention is best. If your child has already been bit or stung. First don’t panic. Most bites aren’t going to be that dangerous. As for treatment, an article in the April issue of Drug and Therapeutics Bulletin, notes that medication-minded treatments such as antihistamines, topical corticosteroids, analgesics, antiseptics, cooling agents and other OTC products are overrated and that, “There is a lack of evidence for the efficacy of these treatments.” The article further notes that the best way to treat mild local reactions to bug bites is a simple cold compress to manage the itching, pain, and swelling, plus cleansing the affected area regularly to avoid secondary infection. Image by LeoSynapse via sxc. The symptoms above have all been linked to severe bug bite reactions, but also other health issues. If you’re not sure that your child has been bit, it’s best to call 911 just in case. Lead image by Tyasusha via sxc. Or...we can embrace the natural world. 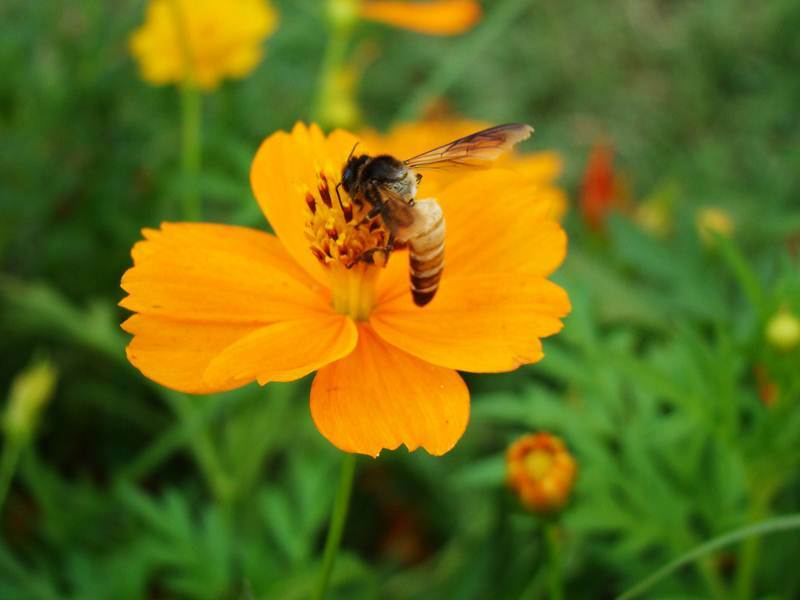 Most of us can brave the rare bee sting and be content with the beauty and wonder around us. You need to know that some of your information is quite wrong. Bees see in the dark because they can perceive infra red. Your body, particularly your head, is a source of visible infra red, because of body heat. Running into the dark may help, but its just as good to be very still next to something else that has been a permanent fixture in the bee's experience, such as a hot wall, or a large tree trunk. Of course, cover your head with anything you can, ie a towel or hat, or even just your hands. I once saved my life on a multi storey building by sitting next to a hot brick wall, instead of jumping seven storeys to the ground. Bees couldn't find me because they were pursuing a heat target with infra red. ( I'd been removing wild bees from under the fascia) Also, it IS better to scrape the sting out so more poison is not injected.DON't pinch the sting to pull it out. Its quite remarkable that the application of HONEY will relieve pain and swelling almost immediately, but it needs to be good honey, and not adulterated stuff. If good honey is not available, a paste made from crushed soluble asprin applied gently to the skin will reduce the impact of the sting, by shrinking the skin cells, allowing your body to deal with the poison more gradually. This is advice from a hospital pathologist in Sydney. It also applies to wasp stings, particularly stings from European Wasps, (sp. vespula Germanicus) and I have found that if the sting is treated with Asprin very quickly, you can minimise continuing pain over the following two weeks. For the irritation caused by stings, the best relief can be to hold the body under a stream of hot water such as a shower. Increase the temperature to a comfortable limit, being careful not to over do it. You'll be surprised to find how much relief this gives. Further to my other comment, I should have explained, that the use of asprin involves crushing up the tablets, adding a drop of water to make the powder into a thick paste, and then patting that on the skin. The reason why running into a dark space might work, as you suggested, is that the area involved may be a predominantly cool zone which will cause the bees to ignore it. They still see infra red. Also , having about 8000 lenses, they see any movement greatly magnified, so the faster you run away, the more visible you become. Even though you may cop a few stings, it is far better to walk away from bees calmly and quietly. Realise that most of the are just giving you a sniff to see what you really are. For a better piece of information please contact me. Sure, if we waged war with the insects, they'd win, simply due to their sheer numbers. But that doesn't mean they're out to get your kids. Bugs can be obnoxious, but in most cases, they're not that dangerous. For example, every few years there's a fresh round of, "Look out for ticks" in the media. However, in reality research shows that Lyme disease caused by tick bites, while dangerous and great fodder for the media, is not very common. Just 2% of tick bites result in Lyme disease. Overall the CDC says that about 90–100 people in the United States die as a result of allergic reactions to insects each year, which may sound scary, but you're way more likely to be killed by a car accident or drowning or food poisoning than a bug. Be practical - some bugs and spiders are a danger, so it's wise to teach your kids not to mess with them, especially babies, who will put any old thing in their mouth (ick), but overall, bugs want to avoid us. We're huge, they're not. Bugs aren't a good reason to keep your little ones cooped up inside all summer; not when there's so much fun to be had with outdoor activities like Geocaching or hiking. 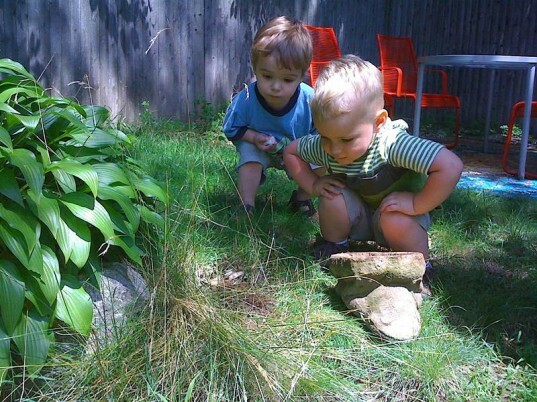 Plus, bugs can be very educational for kids so don't deny them a good safe bug hunt. Practice common sense avoidance first and use sprays and other chemical tactics second. You can avoid most bugs easily without bug spray, just by following some basic rules... Dress your baby or child in lightweight but full cover summer clothing. Such as light long sleeves and pants. When hiking through the woods or fields, tuck pants into socks, especially in a tick-prone area. Avoid dressing your child in bright patterns as they can attract bees. Place a blanket on the ground before sitting down to play outside. Double check any sand, before placing your child down to play. Fire ants and some other bugs are common in some areas and like to hide in the sand. Avoid perfumed sprays and lotions on you and your child as it may attract bees. Bugs love romantic sunsets. Weird but true. Enjoy nature when bugs are less likely to be around, For example, bugs are more common during the late afternoon and early evenings. Avoid mosquitoes by avoiding humid watery areas. If you are spending time at a lake this summer, bug spray is probably going to be necessary (more on this below). Don't let your child play in super long grass, piles of leaves, wood stacks and other dark places bugs like to hide. In almost all cases, bugs bite you because you invade their space, and these places are common buggy homes. When on a picnic or play date, keep all food and drink containers covered with tightly fitting lids. If you spill foods or drinks, move to a new area. Bugs love a good picnic feast. Keep your home clean. Most bugs, minus a few, like grime better than clean. You don't want bugs following you inside and staying. On that note, take off shoes and coats at the door, not inside your main home area. When outside on yourporch, use a fan. It may seem silly outside, but most bugs, and mosquitoes in particular, can't fly well when it's windy. Clean your yard. Icky old bird baths, ponds or child pools, full of murky dirty water attract bugs. If you're not sure if your child has been bit or stung by an insect here's a quick primer about some typical bites. A bee sting usually looks red and swelled and there could be a visible stinger while a wasp sting is more severe looking and you won't see a stinger. A mosquito bite is bumpy and itchy and somewhat resembles a pimple. Any rashes or small bites that look like a tiny pin prick (double or single) or bites that look like a bull’s-eye could indicate a bug bite from a spider or tick. Fleas tend to bite the same area over and over, so you're likely to see a cluster of little red bumps. Plenty of myths surround bug bite and sting treatments. Don't fall for them. For example, using petroleum jelly to remove a tick or burning a tick off are both old wives tale. Burning a kid with a match to remove a bug will likely only result in a kid with a bite who has now also been burned. See real ways to remove a tick. Some controversy surrounds bee stingers. For a while people said use tweezers, then researchers said, no way, tweezers will push poison into the body. Now, the most common theory is that the longer a stinger stays in, the worse it is, so get the stinger out quickly is the general rule. You can safely use tweezers, your fingers or scrap a stinger away, just get it out fast. Lastly, don't pour citronella oil repellents on your child to repel mosquitos. This doesn't work. According to Health Canada, citronella oil repellents protect people against mosquito bites for less than one hour and shouldn't be used on children under two years of age. Any products containing citronella, are likely a waste of money as they only repel mosquitoes at very close range and when wind is minimal. Before your child is bit, you may be thinking it's smart to spray him down with a chemical repellent. For example, many people use DEET. DEET is a bug repellent deemed safe for use on humans by the EPA IF you don't get it near your eyes, nose or mouth. Um, very few kids leave their eyes, nose, or mouth alone for very long, right. Also, though the EPA is on board, other studies show that DEET is not safe. One study found that one-quarter of folks using DEET experience negative health effects like rashes, skin irritation, numb or burning lips, nausea, headaches, dizziness and difficulty concentrating. DEET's one and only perk is that it's an effective repellent against hordes of mosquitoes, even on kids, if used with caution. If you're not dealing with hoards, a safer alternative is to simply avoid bugs with the tips posted above in the prevention section of this post. If you're really freaked, try a natural bug spray, but note that most contain citronella which is not recommended for kids. The CDC notes that you can try using a mix of natural essential oils of lemon and eucalyptus to repel mosquitoes and possibly even ticks. The CDC also says not to use this on kids under 3. Seriously prevention is best. If your child has already been bit or stung. First don't panic. Most bites aren't going to be that dangerous. As for treatment, an article in the April issue of Drug and Therapeutics Bulletin, notes that medication-minded treatments such as antihistamines, topical corticosteroids, analgesics, antiseptics, cooling agents and other OTC products are overrated and that, "There is a lack of evidence for the efficacy of these treatments." The article further notes that the best way to treat mild local reactions to bug bites is a simple cold compress to manage the itching, pain, and swelling, plus cleansing the affected area regularly to avoid secondary infection. Rarely, but once in a while, bug bites or stings can become dangerous and even deadly. In fact, if your child has been bitten, you may not be able to tell, so knowing when to call 911 is smart. Watch for the following red flags, and call 911 immediately if your child (or you) has any of them: Shortness of breath or wheezing Redness or hives over most of the body Swelling of the face, lips or tongue Throat is closing up Severe nausea or vomiting Unexplained chills Muscle aches or cramps Weakness or total lethargy Fever with no other explained cause The symptoms above have all been linked to severe bug bite reactions, but also other health issues. If you're not sure that your child has been bit, it's best to call 911 just in case.